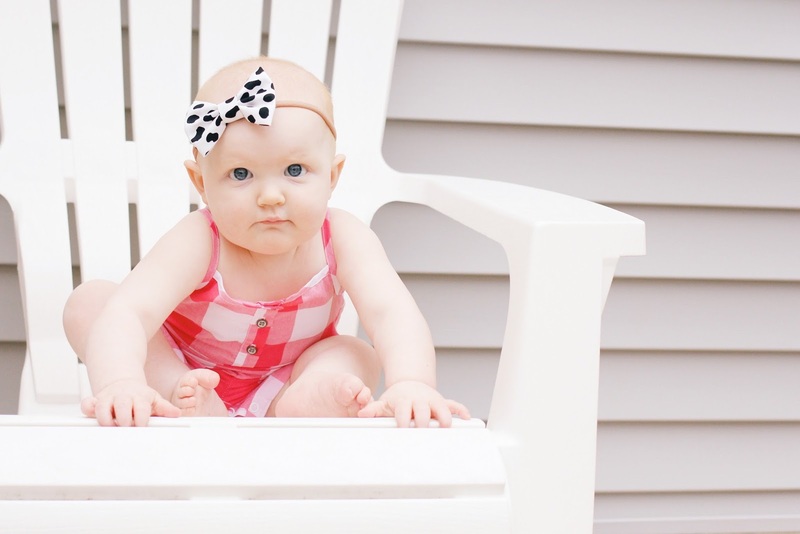 I’m in major denial that this little lady is almost ONE whole year old. 11 months old as of yesterday. Is this real life? It’s going by SO fast. Sadie is on the move all the time and it’s getting harder and harder to get her to stay still for a picture. Mama has to move fast. Sadie has had a rough week thanks to our friend hand, foot, and mouth disease. Girlfriend was cranky and not happy about life…and not sleeping very well. Thankfully she is pretty much back to her old happy bouncy self! Now that she’s feeling better she is also sleeping better! Yay! Sadie usually takes a morning nap (1.5) hours and an afternoon nap (another 1.5 – 2 hours) and has been sleeping pretty well at night too…I don’t want to jinx it because I know sleep patterns change quickly but we are doing pretty well sleep-wise over here…which is a first! 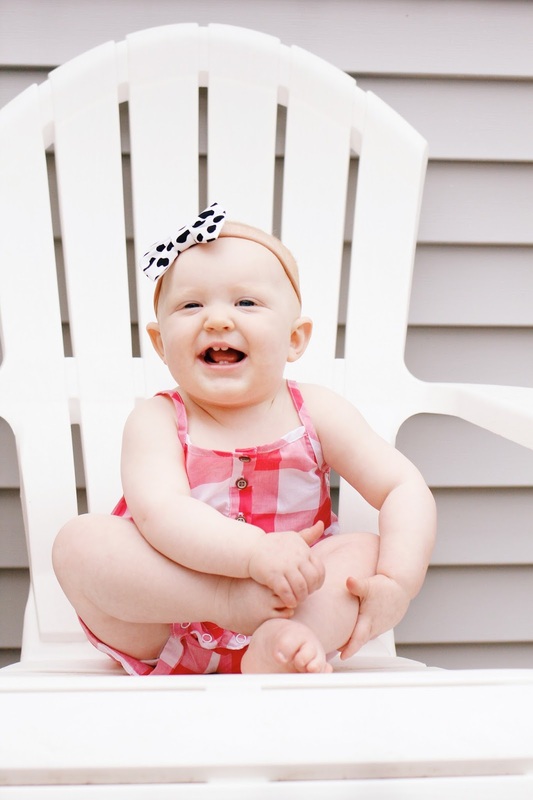 At the doctor’s office last week she weighted 22 pounds 6.5 ounces. 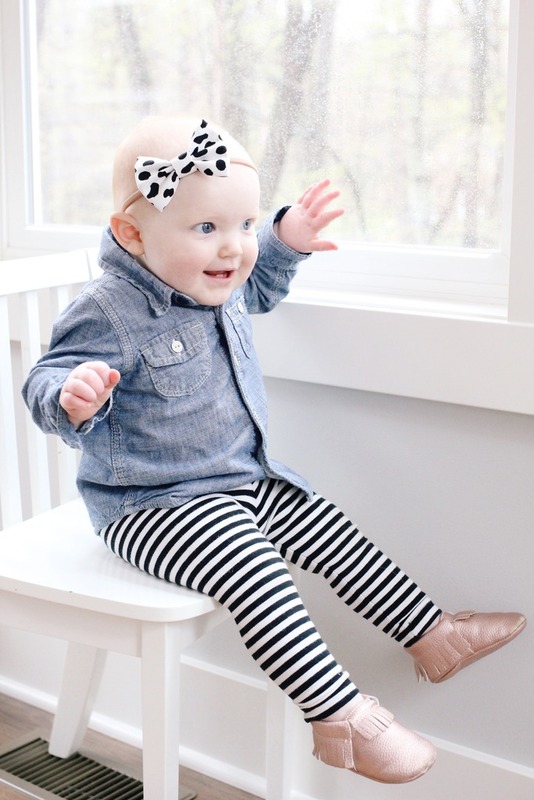 She’s not walking yet, which is funny to me because Hudson walked at this age….but I’m totally not stressing about it. 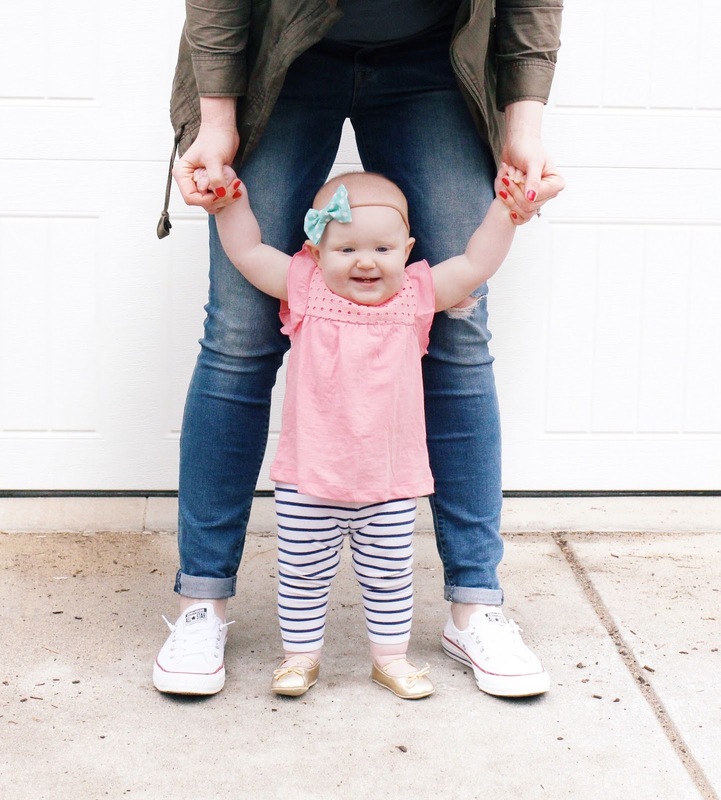 She likes to pull herself up to standing and will take a few steps with a walker…but that’s really it. She knows she can get anywhere faster by crawling and is perfectly content to do just that…even right through the dirt. Sadie loves to dance and bounce around. She also loves to play peek-a-boo by hiding her head on your chest and then popping it quickly back up. It’s the cutest thing ever. Sadie still loves Hudson and wants to be on him/tackling him at all times. She loves riding in the stroller with him and jumping on the bed with him. I hope they always love each other this much. She’s also very much a mama’s girl and gets upset if she knows I’m leaving to run an errand or take care of her brother. She’s still a breastfeeding champ but also loves her food! Her favorites right now are raspberries (just like mama), grapes, strawberries, green beans, and mac n’ cheese. Girlfriend flips out over some good mac! She definitely eats more than Hudson! Sadie wants to do everything her big brother does and is pretty much the happiest baby I have ever seen in my life. 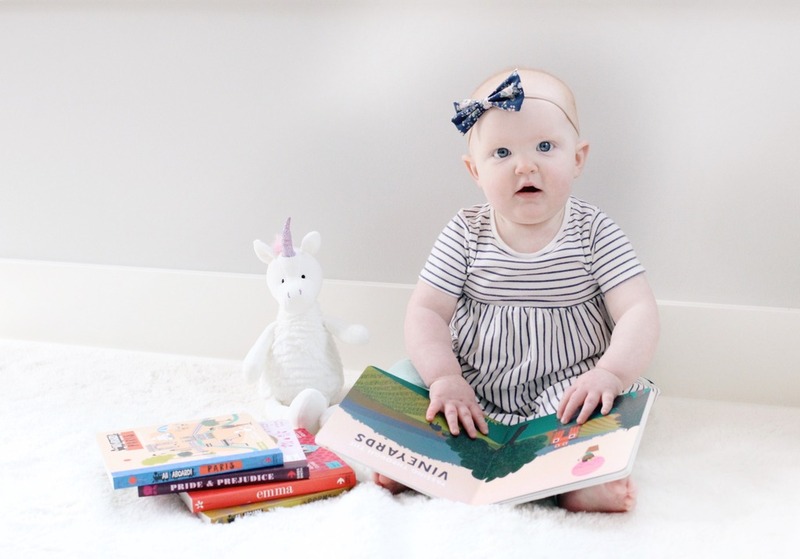 Sadie LOVES books this month and gets so excited to “read” them. She also loves her brother’s trucks and toys….and basically wants to play with anything he’s playing with. We just love this little girl more than words can express. One more month until birthday time! Grow Sadie grow! She is just adorable and love how big she is, much like my Evie. One more month mama! Hang on to her. oh my word such a cutie! 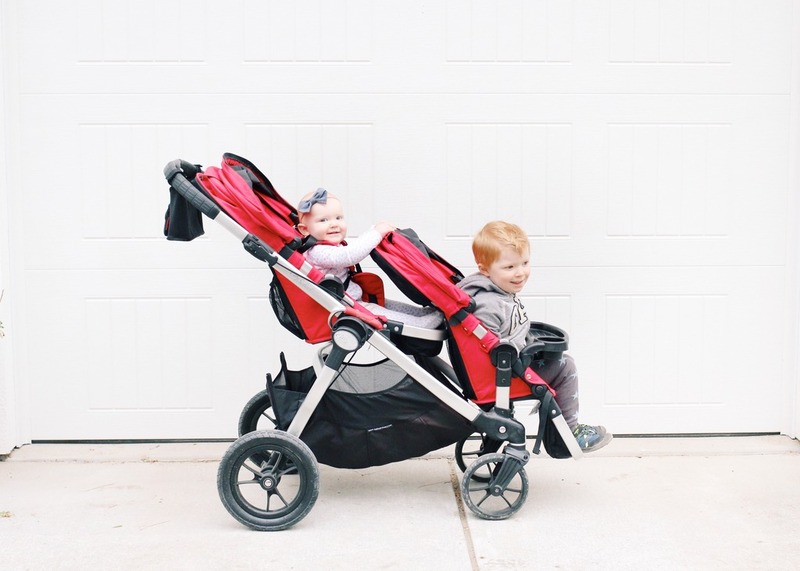 I have to ask, I love your double stroller–what is it? 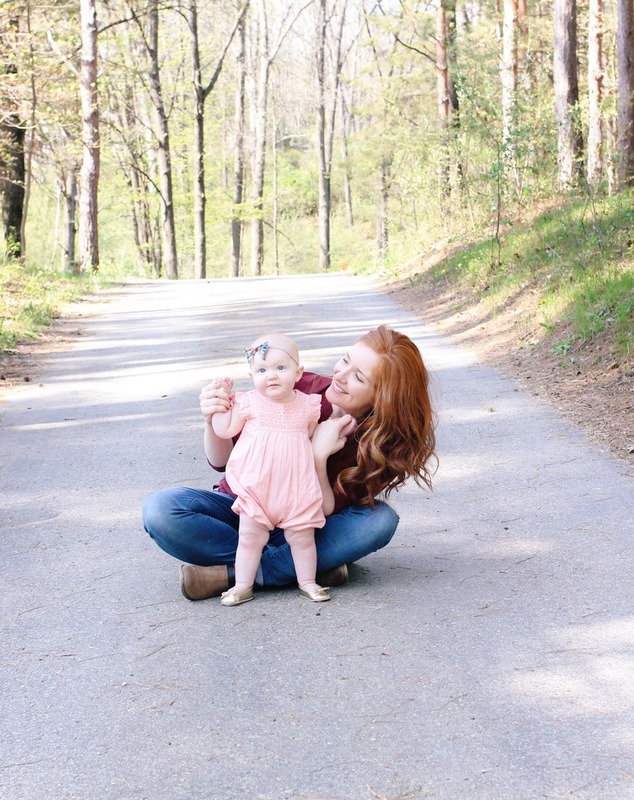 Don't stress about the walking, crawling is so good for little ones. Something about the opposite arm/leg and making connections across the brain hemispheres along with developing strong lower ab muscles and hips that will benefit her in the long run the longer she crawls. Such an adorable little lady! Such a little sweetie! And I can hardly believe our babies are 11 months old. I will be crying a river in one month. Sadie and Oliver sound like they have a lot in common these days [I suppose that could have something to do with the fact that they are the same age]. Cute, cute! There is no way she's going to be one, just NO WAY! Love all of her facial expressions! This birthday business is a bunch of crap. I'm not ready for any of it! But, on that note, I loved this post! Sadie is such a sweet, sweet girl. Already?!? Happy 11 months, Sadie! Gah, she's so scrumptious! And Finn walked a while month later than Liam which totally through me off!